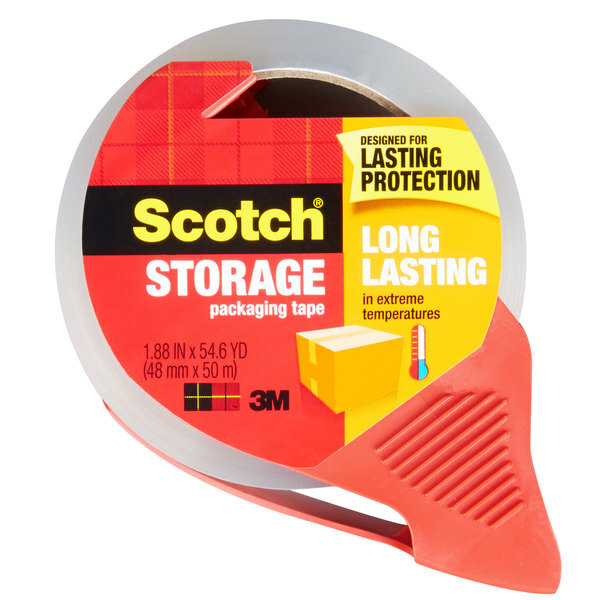 Package and ship items fast and efficiently with the help of this 3M 3650-RD Scotch® 1 7/8" x 54.6 yards clear long-lasting moving and storage packaging tape with dispenser! 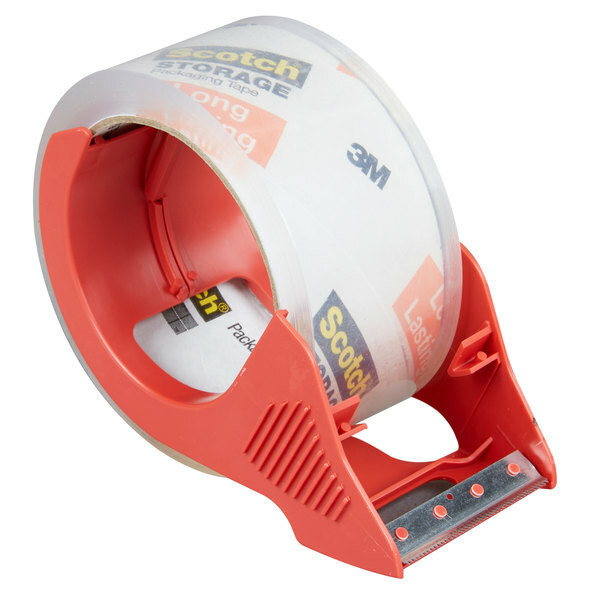 This 2.4 mil thick tape features a long-lasting adhesive that's made to withstand both hot and cold temperatures. 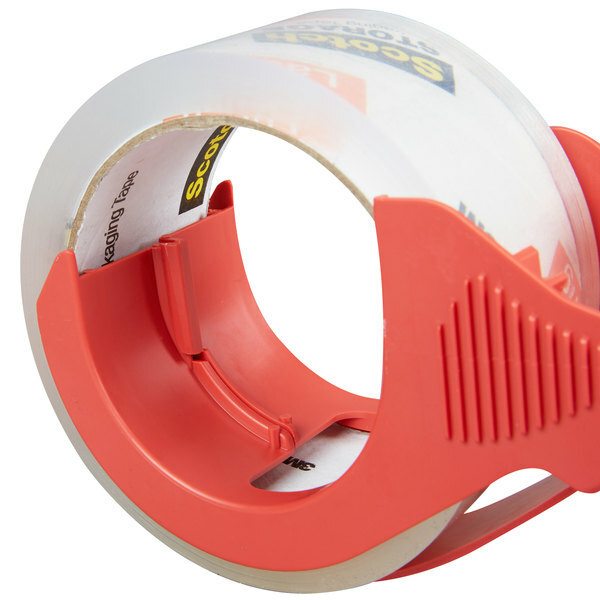 Its clear construction allows the user to see right through, making it great for protecting labels. 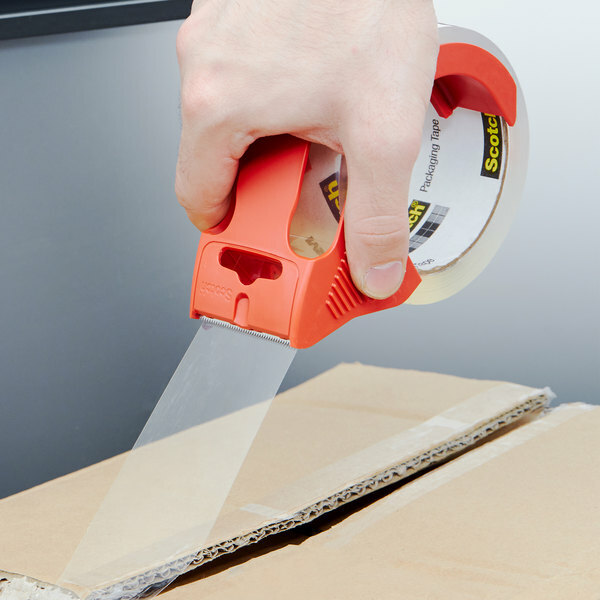 This tape's release coating ensures easy unwinding as you seal boxes. 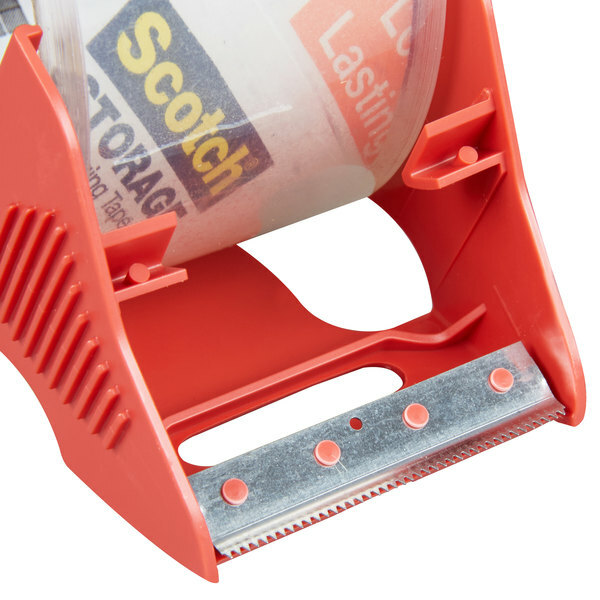 Plus, it comes with a dispenser with a blade to ensure clean cuts and simple use. 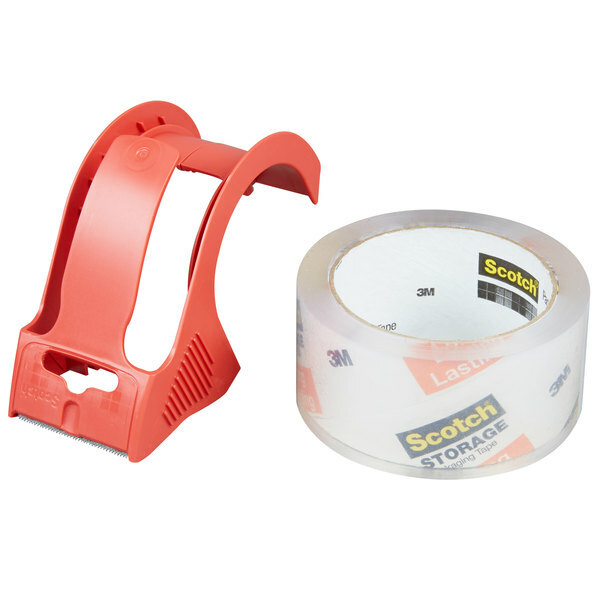 This tape and dispenser are sure to become a go-to tool for mailing, packaging, and storage facilities. 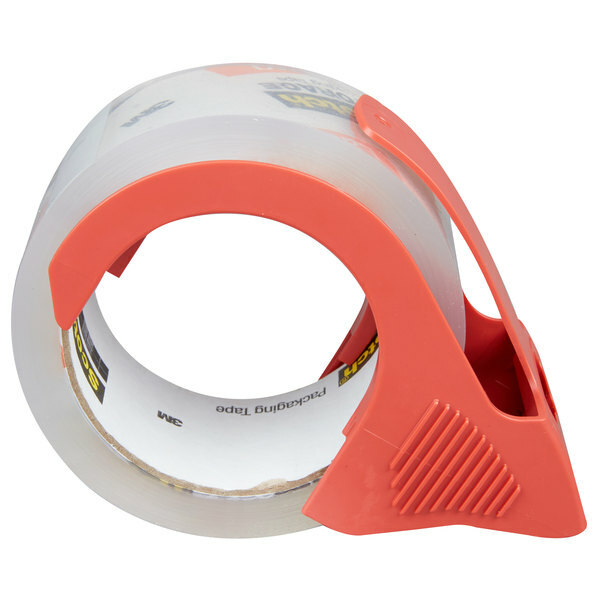 This is my go-to tape. 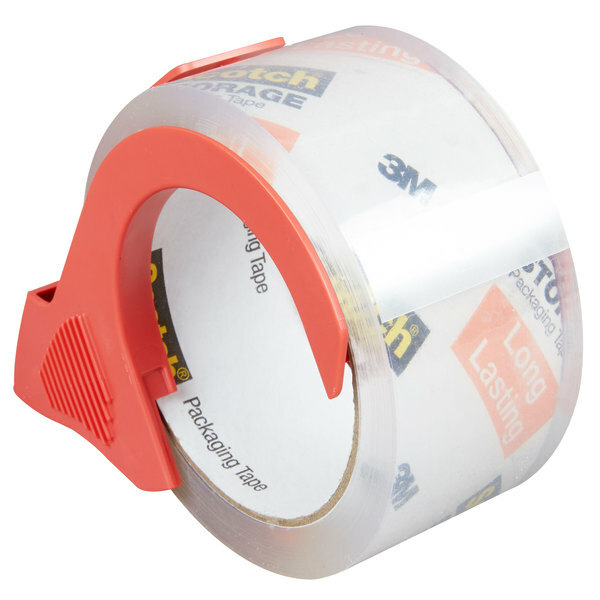 It is sturdy, thick, and comes in a long roll that lasts a good amount of time. 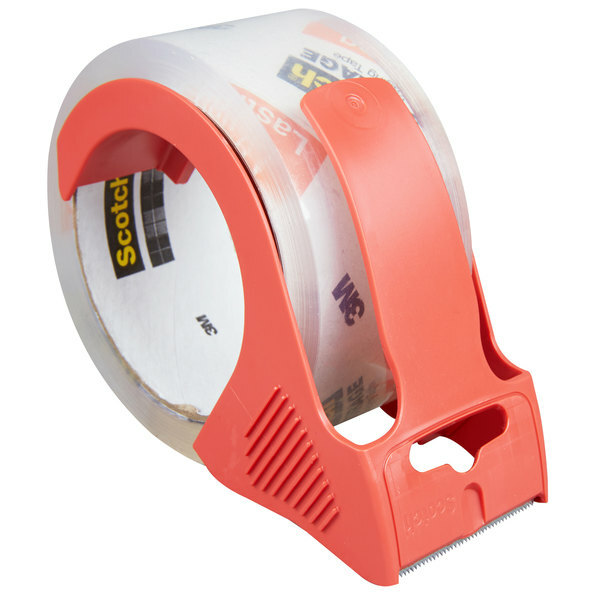 I use this tape/dispenser for mailing lots of packages. Very reliable! Very reliable tape, and plenty of it. The quality you would expect from Scotch. This should last me a good long time as a casual user. 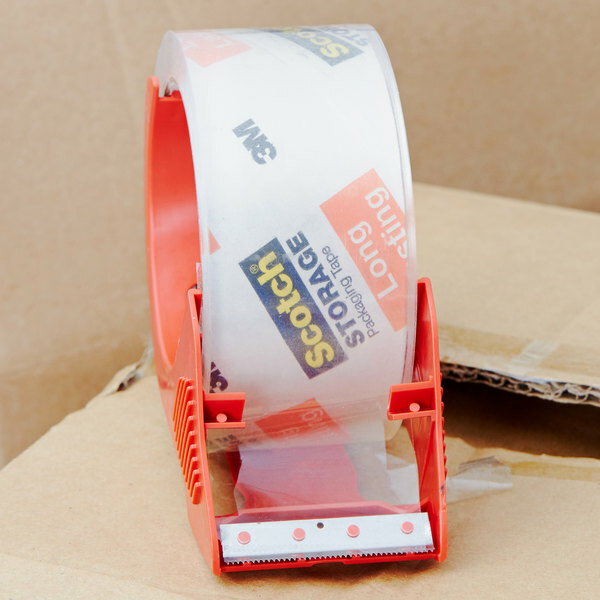 Another good thick and adhesive tape that should last for years on a box. I keep inventory in boxes so good tape is a must to keep them secure.